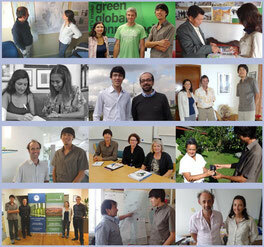 One Climate One Challenge is a voluntary project reporting on climate change and sustainability. We travel and meet people. People from the authorities, scientists, citizens. And we report their actions. A first trip, a world tour, took place in 2012. During this first Episode we mainly talked about climate change, reporting on locally-specific topics. For each of these topics we drafted and published an article. For instance, we wrote about forests of Easter Island, Colombian Paramo ecosystem and artificial glaciers in India. We were on local TV twice! Back home we published a book gathering the 14 articles we wrote. Episode 1 was a success! Thousands of readers followed our investigation. The 2016-2017 Episode 2 took a similar path. During the 2016-2017 Episode 2, we focused and reported on solutions. Good examples of sustainable solutions, in the fields of transportation, housing and industry for instance. The purpose was to share an idea of what the sustainable human society can be. We called this second Episode “Introducing the sustainable society”. We are glad we could show you solutions which are quite unknown: buses retrofitted to electric, autonomous shuttles, organic solar energy, home electricity storage, urban geothermal energy, in-situ building water recycling, saving architecture! We hope these reports will help the readers to be more informed and, ideally, to make them more aware of the “challenge” that climate change represents for humankind. 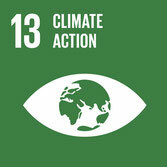 We also consider this change as an opportunity and the sustainable society a motivating target to reach! People we met during the first trip.